Puppy Vaccinations: What’s The Deal? I love veterinarians. Most of them truly love what they do, they put the animals first, and improve the lives of countless pets. I’ve worked with many veterinarians. I rely on the expertise and insight of veterinarians to care for my yellow lab, Callie. My favorite dog food company relies on their scientific understanding to formulate the best possible diet for dogs around the country. As a canine behaviorist and professional animal trainer, I often seek out the advice of veterinarian behaviorists for dogs who appear to have extreme aggression and/or separation anxiety. However, lately, veterinarians are making my job as a dog trainer very difficult. It has become increasingly popular for veterinarians to advise new puppy owners to not allow their dog to leave the house, meet any new people or any new dogs, until they have received all of their shots, which sometimes can be as late as 6-months. Your puppy’s immune system is susceptible during the beginning stages of life. If your puppy is exposed to a virus or disease and does not have the proper vaccine, your puppy can get sick and yes, even die. Dog parks, farmers markets, even your sidewalk can be dangerous for a young, unvaccinated pup. They are filled with germs, bacteria, and can act as a haven for deadly illnesses for unvaccinated puppies. Viruses are deadly for puppies however, there are many multivitamin products such as Bullyade that aim to help dogs and puppies make a quicker recovery! But this, what I am calling extreme avoidance, can come at a cost. This lack of socialization and desensitization to other dogs, people, smells, noises, cars, bicycles, skate boarders, etc is causing these dogs to develop cases of leash reactivity, general aggression, and separation anxiety. I once was at a clients house who was considering working with me to train their dog. When I asked to take the dog outside to complete a behavioral evaluation, they said “yes,” and then quickly loaded their dog into a crate. “Why is he in the crate?” I asked. “Oh, well, he doesn’t have all his shots yet, so we need to keep him the crate when we go outside so he doesn’t touch the ground.” they explained. Turns out that for months this dog had only been in their house or in a crate. Of course, this dog had begun to display a ton of undesirable behaviors from this lack of socialization. This has become the reality for dog trainers – trying to socialize and work with a dog who is forbidden to touch the ground. And I abide by this rule, because a veterinarian will always trump what a dog trainer has to say when it comes to the health of the dog. I believe that dogs from 0 to 6 months are in the most pivotal months of their lives. They are constantly learning and creating lifelong assumptions based on their experiences. For dog owners who take advantage of this time and implement a positive reinforcement training plan, they can create a wonderfully balanced, well-behaved, happy dogs. For those who have no plan in place (or the wrong plan), they often go from having a puppy with puppy problems to having a bigger dog with bigger problems. This magic window is the perfect time for your dog to experience the world. 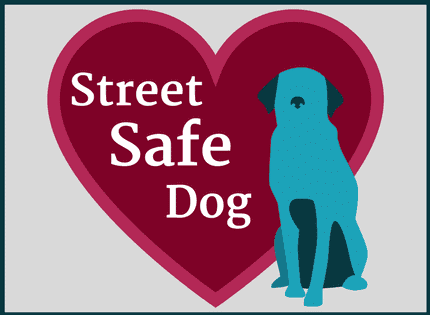 It is the perfect time for your dog to learn from other dogs, understand that people aren’t dangerous, and that bicyclists do not need to be barked at. However, for puppies sentenced to 6 months of home arrest, they can’t experience anything the world has to offer. Instead they develop an unhealthy attachment to their home and the few people living with them. And at the same time, they begin to fear all of these strange creatures lurking beyond the safety of their walls. I am a dog trainer. I am not a veterinarian. I don’t pretend to fully understand the necessities of this isolation and job implications vets face. However, I do know that this increase in dog owners being told to keep their dog at home is hurting the dog and the family in the long-run. 1. Many new dog owners are being advised by veterinarians to keep their dog inside until the dog has received all of their shots. Additionally, they are advising that dogs without their shots should not venture outside, meet any other dogs, or meet any other people beside their owners. I understand that this is to keep the puppy safe from potential viruses and disease. However, by keeping a puppy in that type of isolation for up to 6 months, dog trainers loose the opportunity to socialize and desensitize the dog during this pivotal time to other animals, people, and things. This lack of socialization and desensitization often creates generalized aggression, leash reactivity, separation anxiety, and other obstacles that could have been avoided if the puppy would have been exposed to more of the world earlier in life. What are you initial thoughts on this? 2. It is the priority to keep our dogs healthy, happy, and safe. Is there a safe way to get puppies the socialization and desensitization they need? “These are great questions that I often find myself answering for several of my clients. The importance of vaccinating dogs as puppies is truly vital as the counterpart diseases are often fatal or have irreversible side effects. As you say, dogs held in isolation are more likely to develop behavioral abnormalities such as generalized aggression, leash reactivity, separation anxiety, and others. While working closely with a dog trainer experienced in operant conditioning can help alleviate this, many dogs simply require more dog-dog time. because, before this time, puppies generally have circulating antibodies which they received from their mother’s milk (called colostrum). Puppies that are separated from their mothers before receiving colostrum (usually within the first few hours of being born), may not receive these antibodies, and therefore are more at risk for developing infections from various diseases. After about 6-8 weeks time (if otherwise at appropriate levels), the amount of maternal antibodies tends to drop off. Puppies need several sets of vaccines (as a series) in order to ‘prime’ their immune system to not only recognize various diseases, but also to mount an appropriate biological response. While the series of vaccinations may not be completed before 4-6 months of age, there is no reason for a puppy to not be socialized with an already vaccinated animal. That being said, it is sometimes challenging to know what other animals have been vaccinated for. Core vaccines (including rabies, parvo, distemper and canine hepatitis) are vaccinations that are almost uniformly recommended for all dogs (I say ‘almost all’ because rarely, dogs have disorders with their immune systems that make vaccination potentially life threatening). Non-core vaccines (kennel cough, leptospirosis and others) may or may not be recommended depending on the expected exposure of a certain dog to these diseases. While some pet owners are very savvy with regards to all vaccines their pets have received, the vast majority (in my experience) know that their dog receives vaccines each year, but are not usually sure which ones. In order to recommend that your clients socialize their puppy with a vaccinated animal, you need to be aware which vaccines both individuals have received. Certain diseases can be asymptomatic in some animals, and cause serious problems in others. Two common diseases that we tend to see at my clinic (an emergency practice) are parvovirus and kennel cough. Parvovirus is a type of virus that affects the gastrointestinal tract of typically young, unvaccinated dogs, by damaging the wall of the small intestines. This often results in bloody vomit and diarrhea. This virus is life threatening because of the ongoing fluid losses, and if severe enough (or young enough), temporary loss of ability to absorb nutrients from food. Treatment (supportive care) for this virus generally costs thousands of dollars, and is often fatal despite treatment. Kennel cough is a complex of diseases that result in a highly infectious disorder of the lungs. Pathogens included in the complex include viruses and bacteria. This condition is not often fatal by itself, but complications from this disease can be fatal. Kennel cough often presents with a dry-hacking cough that is occasionally productive (with small amounts of white foam and mucus) starting about 1-2 weeks following exposure to a carrier dog (typically asymptomatic and possibly non-vaccinated). It tends to last about 3-4 weeks and sounds terrible. The primary complication for this disease is called aspiration pneumonia, where some of the mucus or vomit gets sucked into the airway and winds up in the lungs. This can cause a very serious infection of the lungs (pneumonia). If left untreated, this can potentially be fatal. Treatment for simple cases of kennel cough is generally supportive (cough suppressants) and not curative. Hospitalization is almost always indicated for parvovirus, and may be indicated for kennel cough if severe enough. It is too much to expect for each person who has a puppy or dog to have the amount of knowledge required to navigate vaccines and medicine without a degree in immunology or veterinary medicine. An 8 week old puppy should NOT be going outside and interacting with other dogs. By 6 months, unless they still haven’t received any vaccines or have other underlying health concerns, there is no reason why they can’t go outside. The critical period for puppy socialization is somewhere in the vicinity of 12-16 weeks. Isolation for more than six months can absolutely result in behaviors that are difficult to manage. But, as you know, inappropriate punishment and reward can also lead to these very same behaviors (some of this is taking place inside of the brain of the dog, without any extra input from humans; for example, ‘I bark at a dog/person/car/truck/squirrel walking by the window, it moves away, I must have made this happen by barking, I WILL CONTINUE TO DO SO FOREVER AND ALWAYS!’). In order to best serve dogs, dog owners and dog trainers, a conversation about vaccines with your veterinarian can help prevent bad behaviors from becoming a defining problem in your dogs life (while still ensuring that your dog is healthy and happy). 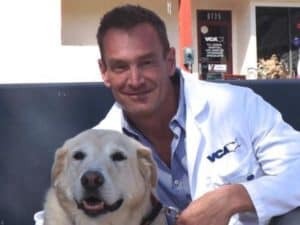 My name is Dr. Eric Littman of Ocean State Veterinary Specialists in East Greenwich, RI. I have a bachelor’s of science degree in marine biology from the University of Hawaii at Manoa, and I have previously worked as an animal trainer at Sea Life Park in Hawaii and Mystic Aquarium in Connecticut. 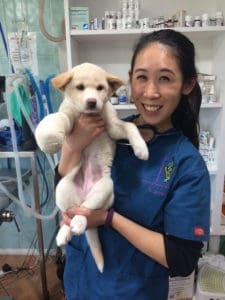 “Though it may sound extreme, isolating puppies from other dogs, people and potentially infected environments is the surest way to reduce the risk of them contracting deadly diseases. One of these diseases, parvovirus, is extremely contagious and remains in the environment for over a year. This horrible disease results in weakness, bloody diarrhea and often death. There is no doubt that socialization is extremely important, but because of the severity of these infectious viruses, it should only be done in very safe, controlled environments. Puppy preschool is a great way for puppies to safely interact with other dogs. Up to date vaccinations are required to enroll so all the puppies in the class will be of the same vaccination status and can interact with one another without putting each other at risk. It is also acceptable to allow puppies to interact with older dogs with current vaccinations at one of their homes. “Although well intentioned this is actually not supported by evidence based medicine and is actually detrimental when it comes to social development at a very important age. Puppies that a are locked up inside are no less at risk than puppies that are socialized in a responsible manor. Puppies are not at any significantly greater risk of getting diseases we vaccinate against when socialized with dogs that have had all their immunizations. Puppies can also be socialized one on one or in small groups or classes with other “healthy” puppies. The disease that most people are concerned about is Parvo Virus. Parvo virus is spread in the vomit and diarrhea of sick puppies that have the disease. The virus can last in the grass and soil or surfaces for many weeks and months in damp cool conditions. UV light and drying kill the virus over time. Bleach at the proper dilution with water left for 10 minutes will also kill the virus. In my practice, I recommend to my clients that they keep to their neighborhood sidewalks where it’s clean and dry and not let their puppies eat grass or drink runoff water from lawns. An extra precaution is to wipe their feet when they get home. I advise against going to dog parks until their vaccine series is complete. I recommend one on one socialization with other dogs and tell them they can go to small puppy classes with other healthy puppies. The vital socialization period is in the 6 to 14 week age range. Locking up our puppies until 16 weeks when they should be getting their last vaccine series is detrimental because they miss out on a crucial time of their development. Dr. Hiebert has been in practice for 27 years. So, What Should Puppy Parents Do? As with most animal welfare concerns, there is usually a logical middle ground that often goes unnoticed. You shouldn’t keep your puppy in isolation for the first 6 months of his/her life. You shouldn’t let your dog run free at the dog park at 8 weeks old. You should consciously keep your dog medically healthy while preparing him behaviorally for the world that awaits. Work with a veterinarian who isn’t only concerned with keeping your dog from getting a virus, but rather, work with one who is concerned with the holistic well-being of your furry friend – that includes behavioral conditioning. 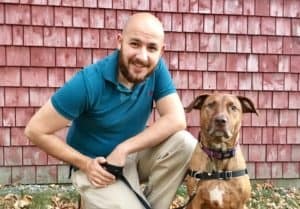 Work with a dog trainer (this is my favorite dog training company) who not only wants your dog to be socialized and well-behaved, but healthy and safe. 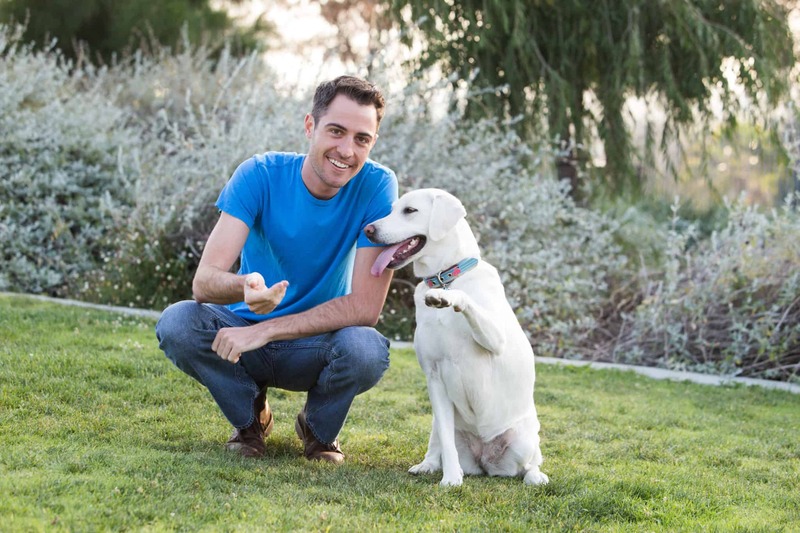 By looking at the overall and long-term goals of your dog’s well-being and seeking the advice of professionals who are aligned with those goals – you are setting you and your dog up for a lifetime of health and happiness! Get more dog training tips!